A kitchen should be a fun, well-organized room that makes you want to spend time in there cooking, eating, and entertaining. Making the flow of your client’s kitchen great with well-placed cabinets, beautiful countertops, and functional sinks will have them loving their kitchen remodel long after you finish. Our experts at the ProSource® of Seattle showroom can help you and your client navigate your way around kitchen products so that they’ll have the dream kitchen they’ve always wanted. 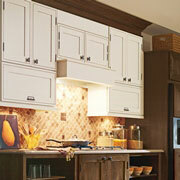 As you well know, kitchen cabinets can make or break a kitchen space. When you come into our showroom with your client, we’ll look at shape, wood type, and finish to find the perfect cabinets for them. To help make their new kitchen cabinets functional and personal, your client will have to choose new cabinet hardware that matches their style. 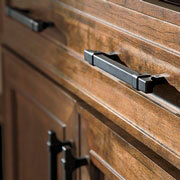 From traditional to modern to statement knobs, we’ll find something that’s just right. Has your client been eyeing a certain countertop and wishing it was theirs? Chances are we have that style available. 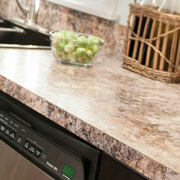 We have a wide selection of colors, materials, finishes, and brands available for every budget. Dishwashing is more fun when your sink is beautiful. Bring your client to browse and we’ll help you find the farmhouse sink, undermount sink, or any other kitchen sink style that’s perfect for them. 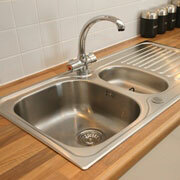 Dishwashing gets even more enjoyable when the faucet comes with a variety of functions to meet your client’s needs. 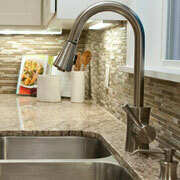 We can do a standard faucet, a beverage faucet, a pot-filler faucet, and more, so visit us today and explore options!